The cosy bar of the Hopetoun Arms Hotel was full of treasure hunters sharing stories. They were here for the Gold Panning Championships in Wanlockhead where competitors sift through huge buckets of sand and gravel to find specks of gold. Being in this bar felt like eavesdropping on 19th century Klondikers in a Dawson City saloon. A coal fire warmed the room whilst a couple of old timers talked about the time they chased a single flake of gold 50 yards down a gully. It kept getting carried away in the eddies and they kept trying to catch it. The waterways of this area have provided an impressive haul of gold over the centuries. The Crown of Scotland and the coins of King James V and Mary Queen of Scots were made of local gold. More recently, much of the gold used in The Scottish Parliament Mace was panned in the rivers and burns that I cycled past to get to the Hopetoun Arms. This hotel is the highest in Scotland, so I was in for one of my toughest cycling challenges. It was somewhat unexpected that such heights are in the south of Scotland and not somewhere in the Highlands. You would be forgiven for thinking you were in Glencoe because it matches the sheer vertical grandeur of that place. The road starts innocently enough with forest and glimpses of the River Nith. There is no clue about what is up ahead which is why it came as quite a shock when I found myself suddenly enveloped by the hills. It felt like like they were closing in on the road because of their bulk and steepness. Far up I spotted tiny white dots. Sheep! 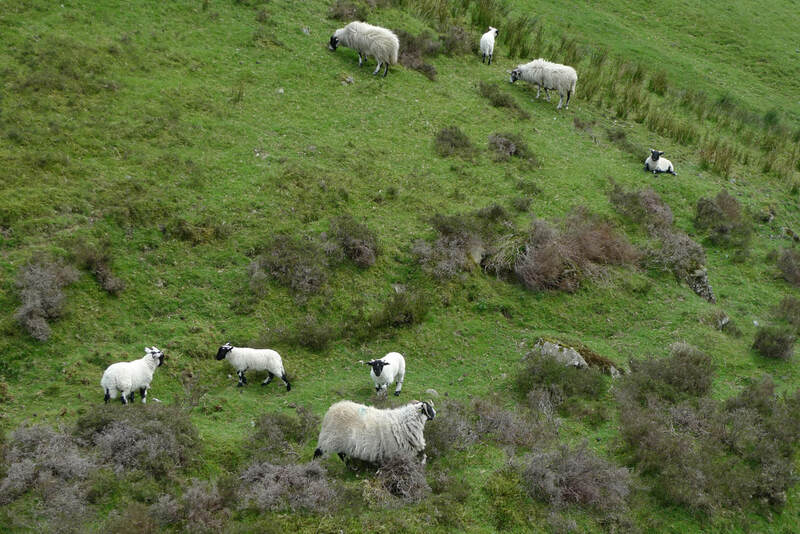 It is incredible that they are able to get up to such heights, but their agility means that these hills are topped with the most smooth green grass you will ever see. At first the climb was gradual and not too steep. The road actually leveled out for a bit, so I was lulled into a dangerous state of complacency. Then it turned nasty with a relentless uphill that almost destroyed my legs. It went on forever, exhaustion set in and I had to push myself. There was nothing out here, few cars and not a single house. It made it a challenge to believe that a village sits at the top. I passed people camping, sitting around crackling fires, and I wished that I was staying with them and did not have to keep going. Would my legs get me there? Would they suddenly stop working? I was torn between longing for the end and a desire to spend as long as possible in this magnificent landscape. 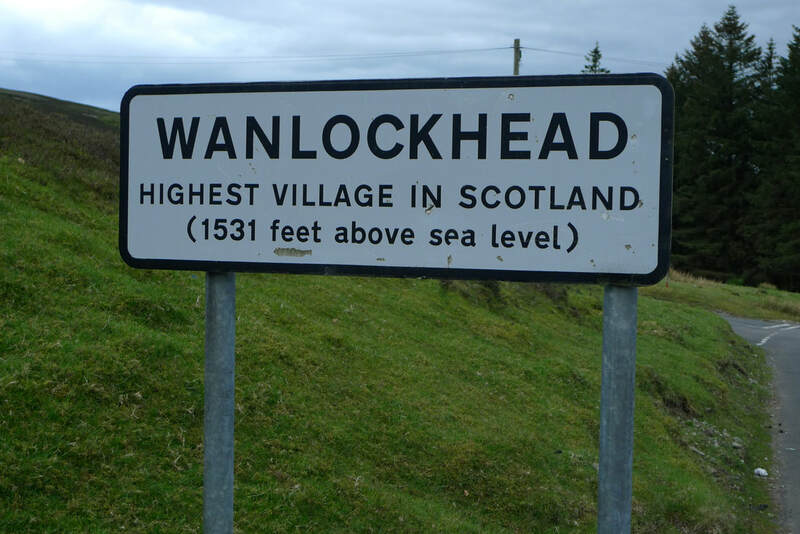 ​When I finally saw the sign for Wanlockhead I could have cried. The sign stated that this is the highest village in Scotland and I had cycled to it. I was elated. I had done it. Just one mile further and I arrived at Leadhills in the semi-darkness. Nothing stirred among the pretty cottages. I opened the door to the bar of the Hopetoun Arms and the sound of laughter and voices drifted out into the stillness. ​I ordered another pint and he told me "You know, it' is a bone of contention between Wanlockhead and Leadhills as to which is the highest village." "Wanlockhead has a sign saying that it is the highest," I pointed out. "Ah, but we are going to prove that it is us. We are working with ordanance survey." One benefit of staying in one of the highest villages of Scotland was virtually no traffic or noise at night so I had one of the best sleeps in ages. I took a morning stroll and found it to be a place full of character, largely because there were no identical buildings, the rows of cottages were all different. I loved the well-kept gardens with hanging baskets and pot plants. I could not get my head around the fact that this idyllic village was plonked in such an immense wilderness at the very top of a challenging climb. There was nobody around and as I walked down the deserted streets I was picturing a Western movie with the lone hero making his way through a town where nothing stirs. It was only when I popped into the local shop that I found signs of life. Sixties pop music played on the radio and a customer chatted to the shopkeeper about the weather. "Good day for it. Not too hot, not too cold. But windy." There are some curiosities to discover in the village. I hiked up to an obelisk that honours the achievements of William Symington, a local lad who invented steam navigation. From here you get a great perspective on just how isolated the village is, surrounded by empty hills as far as the eye can see. In the centre of the village there is a bell on a wooden platform. This was rung to signal the shift changes in the mine, now eerily silent, it is only ever rung to mark New Year. The most fascinating item in the village is the grave of a man who lived to 137 years! And this was not a recent occurrence where you would assume it was down to advances in medicine- it occurred in the eighteenth century. John Taylor was a well-known local character who had memories of working in the mines as a child and being able to come above ground to see the total eclipse of the sun in the year 1652. He lived 2 miles outside Leadhills, but was still walking to the village at the age of 128. 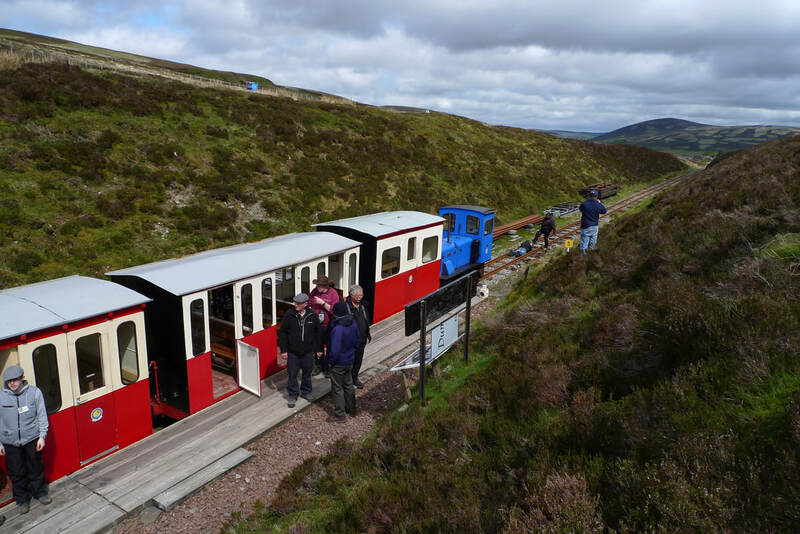 It was time to take a break from walking and ride the Leadhills and Wanlockhead Railway. The station is at the south of the village from where I rode in a tiny carriage over a short section of narrow guage track high up in the hills. The line was once used to transport lead from the mines until it was shut down in the 1930s after most of the mines had closed. Compared to other heritage railways in Scotland this one has a more rudimentary operation. The staff don't have uniforms, the station is housed in two box cars and the carriage windows have no glass. What it might lack in infrastructure it makes up for in the enthusiasm of the volunteers who run it. And it is a lot of fun trundling over the stark landscape, which feels very much in the middle of nowhere. The track ends at a tiny platform where we got out and looked down the railway cutting where there are future plans to expand the line to Wanlockhead. My fellow passengers were a mixture of gold panners killing time before the competition and railway enthusiasts weighed down with camera equipment. I discovered more about the riches to be found in these hills at the Museum of Lead Mining in Wanlockhead. There are more mineral deposits than any other place in the UK to be found in this area. However, it was the hardships of the miners that really struck me, particularly the dangers of the job. This was perfectly illustrated by a display of old miner's caps that would fail spectacularly in a modern-day health and safety inspection. 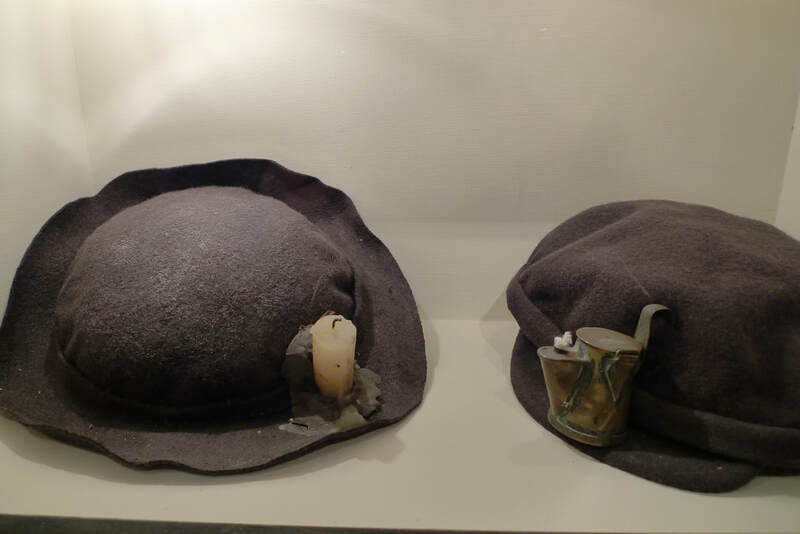 Nowadays we picture a hard hat with an electric light, but these caps were made of felt and had a candle stuck to them. A later version of the cap had an oil lamp stuck on it. It was incredible that they had relied upon something so inherently unsafe to provide a light source. Thankfully today's search for gold had no such risks. The Gold Panning Championship was in full swing outside the museum. The competitors were knee-deep in a row of huge buckets of water and mud, trying to locate the shiny specks and a judge kept a close eye. I watched for a few minutes, but I reckon this is one of those sports that is more entertaining as a participant than as a spectator. Besides I was keen to be back on the saddle and enjoy the freewheel back down the Mennock Pass. The sheer effort of climbing up this road was more than worth it for the complete and utter joy of speeding back down it. This is what cyclists live for. The challenge followed by the reward. I have done many superb downhill rides, but this one stood out because of the majesty of the steep, green hills that grew up right from the edge of the road. I twisted and turned through these hills, keeping an eye on the burns and rivers that gurgled alongside the road. The water sparkled. It was from the sun's rays, but just perhaps some of the glittering could be some treasure waiting to be discovered. Take a train to Sanquhar. From Glasgow the journey time is 1 hour, 20 minutes. Add another hour to the journey if you are taking a train from Edinburgh, and you must change trains at Glasgow. It is about 13.5 miles from Sanquhar to Leadhills. The route begins on a very quiet single-track road. This is mostly flat. Once you reach Mennock get ready for the hills. 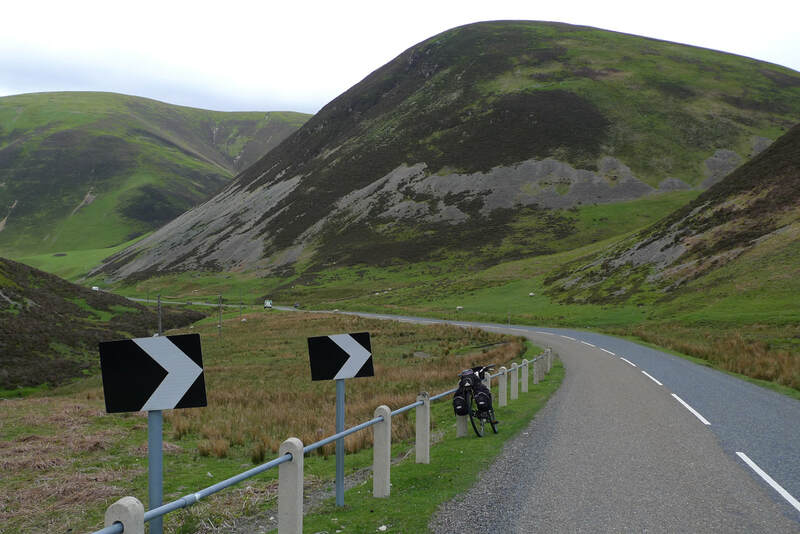 You are cycling to Scotland's highest village, so you can expect some of the toughest cycling of your life. You might want to visit Drumlanrig Castle before tackling the Mennock Pass to Leadhills. Read my previous feature about cycling to Drumlanrig for more details. 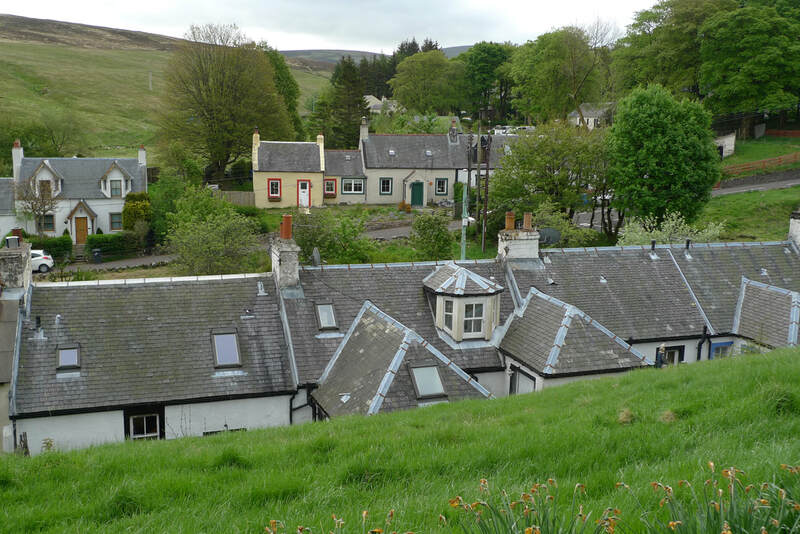 Wanlockhead has the Museum of Lead Mining which tells the story of the area's geology and the social history of mining. You can go a guided tour of a mine and see inside a miner's cottage. They also offer gold panning courses. In Leadhills you can do the town's heritage trail to see things like Scotland's oldest subscription library and the grave of John Taylor. 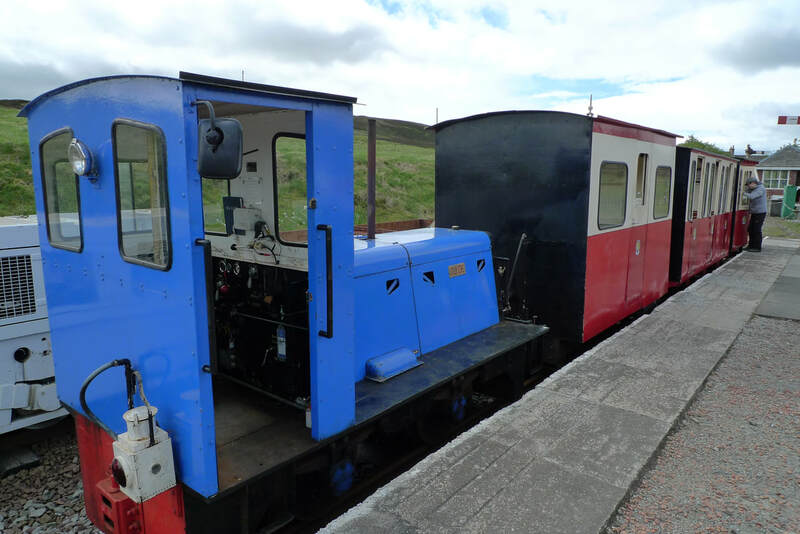 The ﻿Leadhills and Wanlockhead Railway﻿ operates on summer weekends. 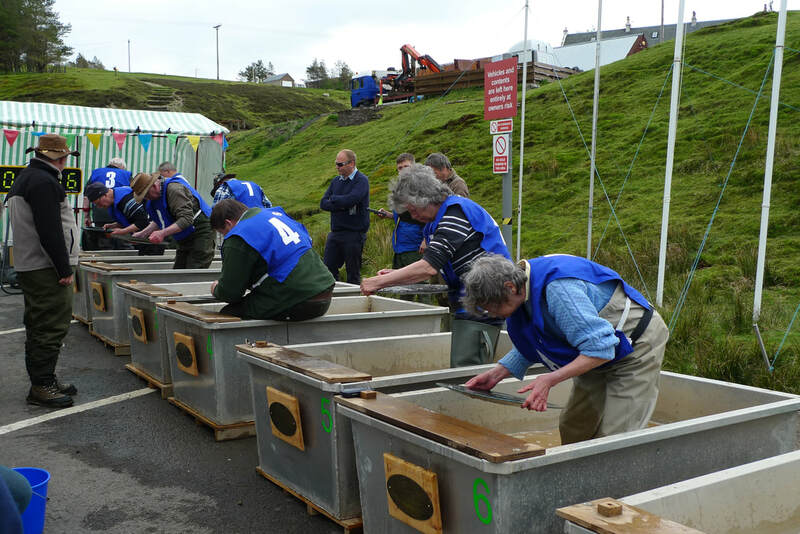 The Scottish and British Gold Panning Championship takes place in May. 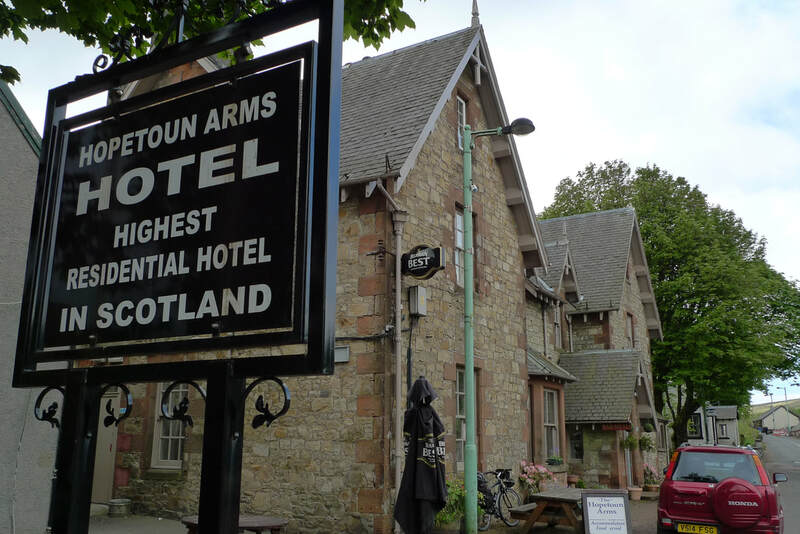 The Hopetoun Arms is the highest residential hotel in Scotland. The rooms are comfortable and there is a cosy bar.